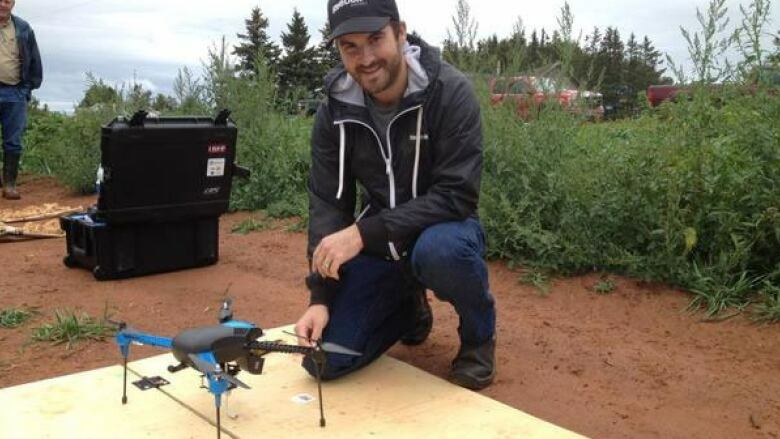 Flying drones may become a useful new technology for P.E.I. farmers who are looking for ways to use fewer chemicals on their fields. Flying drones may become a useful technology for Prince Edward Island farmers who are looking for ways to use fewer chemicals on their fields. A flying drone was high above a Spring Valley potato field Friday as part of a 4-R Nutrient Stewardship demonstration. This group of farmers are interested in better managing their crops while protecting the environment at the same time. Images transmitted from the drone will show the farmer the healthy and unhealthy parts of the crops. A map created by the drone can be programmed into the GPS on a farmer's tractor which, in turn, will automatically adjust how much fertilizer is applied. 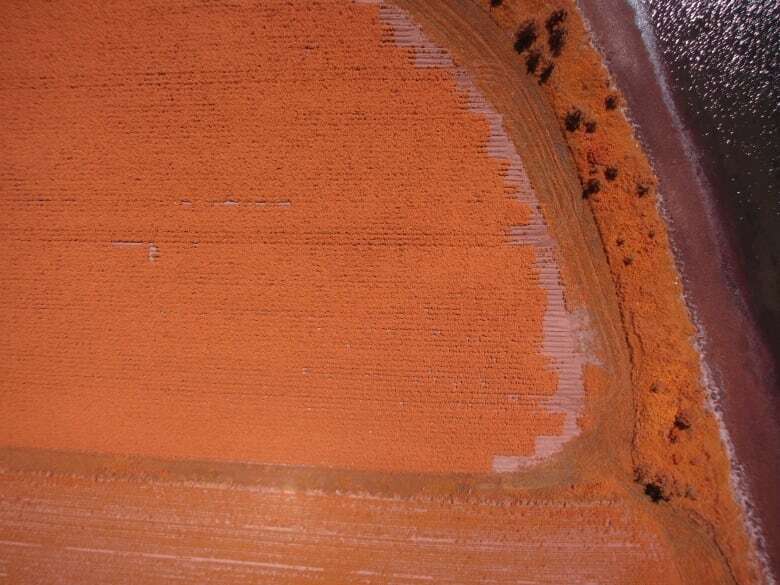 "I hope it can eventually save potato farmers some money on inputs and just make smarter decisions overall and that will only lead only to improvement in the environment as well," said Evan MacDonald, owner of Island Aerial Imagery who demonstrated the technology. The goal is to use less fertilizer and reduce nitrate levels in P.E.I. groundwater. "Anything that can help us scout a field or see what's happening before we actually see it with our own eyes, it would certainly be a big advantage to us," said Allan Waugh, who grows potatoes in North Bedeque. "It's new technology. We've always got to be going forward, so we have to certainly take a look at it." Potato growers in the western United States now use drones to scout fields. The nutrient stewardship program will be testing the technology on P.E.I. fields in years to come.